The Singapore Tourism Board revealed that it takes around 10 minutes to complete a typical check-in: two minutes to verify the guest’s profile, three minutes to record the profile, two minutes to process payment, two minutes to assign a room, and one minute to issue a room key. And this is assuming there’s no check-in queue. GTRIIP allows a check-in to happen in less than 5 minutes without compromising on security. By using fingerprint and facial recognition technology, the GTRIIP solution allows the guest to register and verify his/her profile instantaneously. This check-in process eliminates the need for paperwork at the front desk and eradicates wait times to get an available check-in counter staff to serve you. 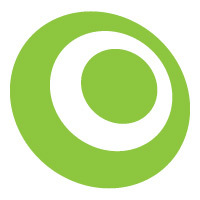 The first thing I noticed about GTRIIP’s logo is that it resembles an open door. You might have guessed that GTRIIP is perhaps trying to open the registration door for their customers. In essence, GTRIIP is a biometric-driven technology company with a vision to provide a paperless check-in or access. The company’s scalable facial-recognition technology can be used across different industries as long as they require a check-in entry. 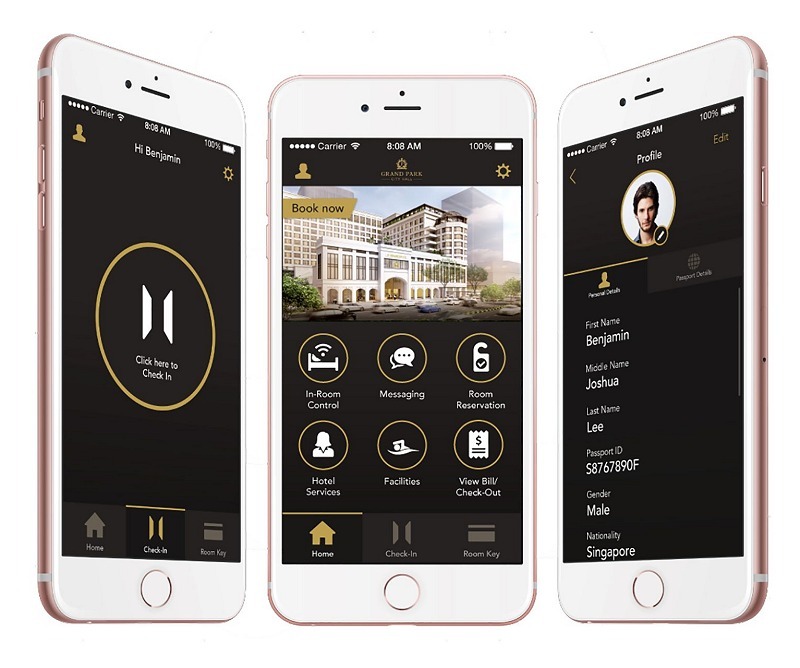 Aside from hotels, the company’s technology is also applicable to banks, government and business offices, properties, clubs, and many others. As long as there is a need for verification or registration, GTRIIP will empower the gatekeepers with a flawless, access system. 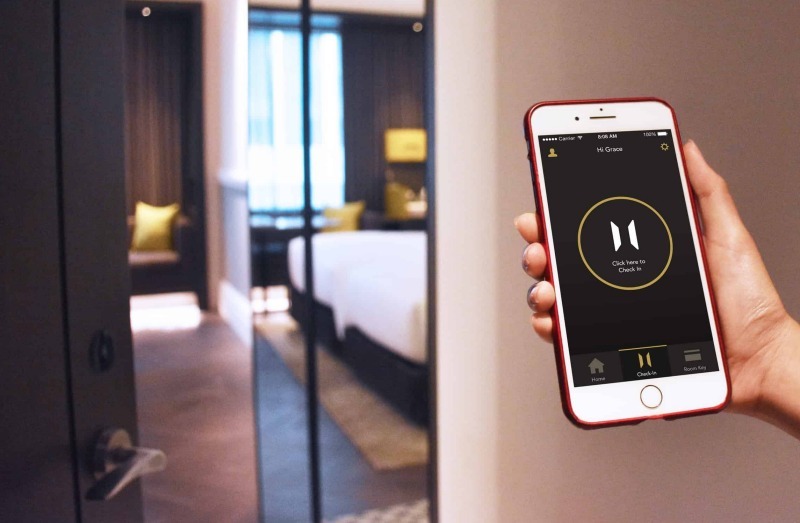 For something that all hotel guests have taken for granted and that is, check-ins, GTRIIP is investing talents and technology to be one of the first to speed up hotel access without the lines or needed conversations. This would serve as a welcome break for those tired travelers who might have flown across a few continents before arriving at the hotel. GTRIIP provides smart AI, cognitive technology to provide facial scanning as part of the recognition access. This uncompromising avenue to register guests may be coming to a hotel near you soon. With such an ease, GTRIIP is expecting property operators to put a smile on many guests and subsequently, earn good credits as a result. So how does GTRIIP's AI solution really work for a typical hotel check-in? Guests can be surprised when they first encounter such access systems at their hotels. They may be anxious or even worried that their face scanning might not match or hinder their check-in process. To improve this, GTRIIP incorporates a pre-arrival, profile set-up process that needs to be completed. Firstly, the guest needs to download a specific GTRIIP app and auto-populate the e-registration card by snapping the passport copy. The extracted information includes the copy image and the information in the Machine Readable Zone (MRZ) that's on the passport. At this point, this information is stored (offline) in the guest’s smartphone only. He/she will be prompted to connect to the hotel’s Wi-Fi to begin the check-in process. Next, the guest will click on the check-in button and scans his/her fingerprint. This will authenticate the rightful smartphone owner. The guest will then key in his/her confirmation number provided by the hotel, Property Management System (PMS) or Online Travel Agents (OTA). GTRIIP’s technology will map related confirmation numbers within the PMS. 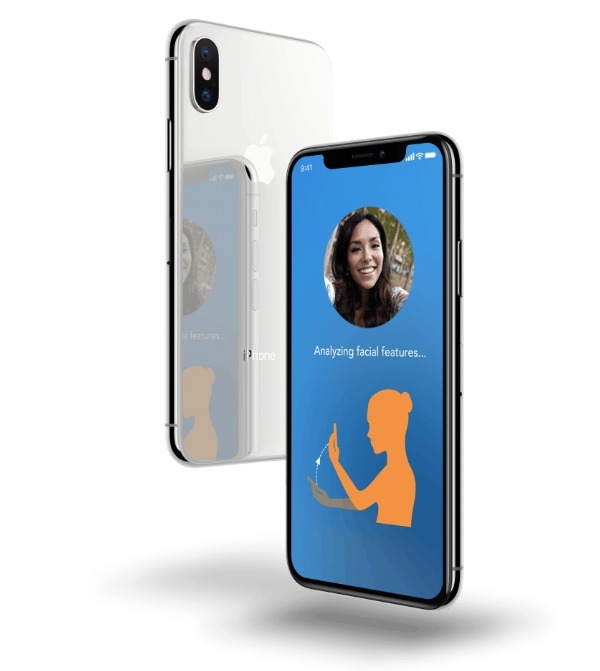 The app will then prompt the guest to take a selfie to start the facial recognition authentication process. A check-in will be unsuccessful if there is any obstruction (like glasses or hat) that could block any of the 106 face landmarks used to verify facial recognition. If so, the guest will be requested to perform the face recognition process again. Subsequent failed attempts will also lead to a denied access. What about privacy and security issues? How is the facial data stored and for how long? The guest’s data stays strictly offline on his/her smartphone in a secure storage location until check-in. At check-in, the data is transmitted via HTTPS protocol secured with SSL certificate similarly used in other secure transactions such as internet banking. The hotel receives the guest’s check-in data which is encrypted with 256-bit Advanced Encryption Standard (AES) to ensure only an authorized person can view it. The guest data is purged from the GTRIIP’s system after a successful check-in, Following, the hotel’s PMS and customer relationship management systems (CRM) step in to take ownership of the data. The company also provides an on-premise option for property operators that prefer to host the GTRIIP system at their own data centre (instead of using the cloud). This option is popular in certain markets that have strict regulations on where the guest data is allowed to reside physically. Depending on their clients’ specifications, GTRIIP can customize system features and build in a solution that would serve the required needs. The company collaborates with industry developers and hardware manufacturers for this. Who's using GTRIIP and who else is in the pipeline? How is it different from check-in kiosks that are available in certain hotels? In certain Asian countries such as Singapore, it is mandatory for the front office to verify the passports physically. The check-in process can be cumbersome at the kiosk, especially if a staff needs to be present to check the passport. Not to mention, guests may run into technical issues while using the kiosk, resulting in needing a manned check-in counter. As a result, such inefficiencies can delay the guest’s check-in phase, as well as incur staff costs. GTRIIP expects their AI-powered, check-in innovation to be at the forefront to solve the manpower crunch in the next few years. The company intends to be a global player to deliver its patented, artificial intelligence and biometrics technology for the hospitality industry and we look forward to its smooth adoption.